Octaves in the outside voices sing out and then diverge, with a rhythmic energy at first which leads into a four-voiced motet-like texture. 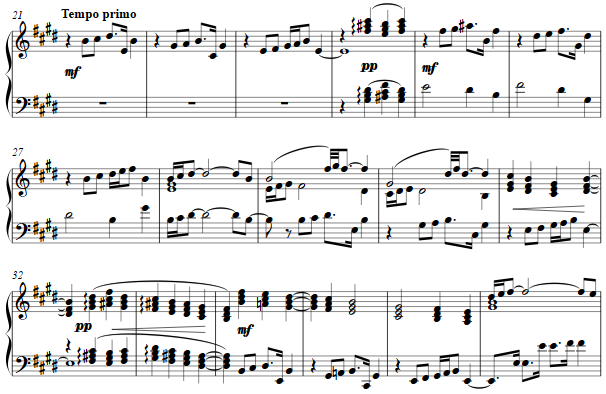 The fugue recalls the prelude's theme, with the subject answered after a polytonal curtain between them. As the fugue spins out, repetitive episodes and counterpoint are extended.